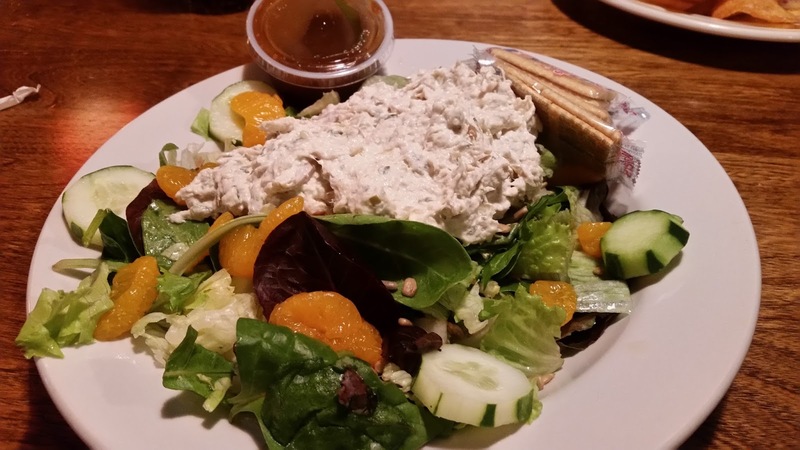 This edition of Excited about Eating takes us north to the City of Salisbury and to Palms Cafe. 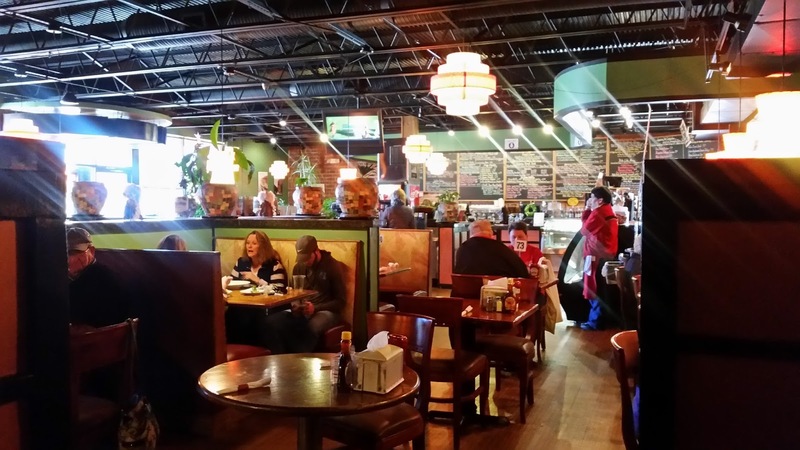 This local neighborhood eating establishment offers breakfast, a large variety of sandwiches, and specialty coffees. You must order at the counter (no trouble seeing the menu, it is written all over the walls) and the food is brought to your table. 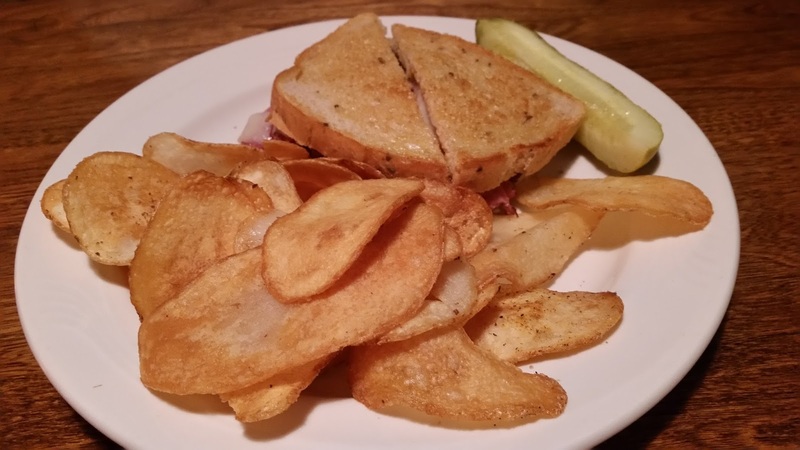 I chose the New York, New York hot sandwich, roast beef, corn beef, pastrami & turkey stacked high with Swiss cheese, 1000 island dressing served on grilled rye bread with a side of homemade potato chips. Hearty and filling, the different meats mixed well with the dressing. The chips were seasoned well and firm enough to dip in the ranch dressing. Overall, great! The Palms Java shake was a mixture of espresso, java chocolate chips and vanilla Gelato. I would have liked the shake to be a little thicker. Dora here. I’m with Ernie on this one. I expected the shake to be thicker and more coffee flavored, but, hey, Gelato and coffee…:sigh: thick, thin, who cares? Nice way to cap off the meal. 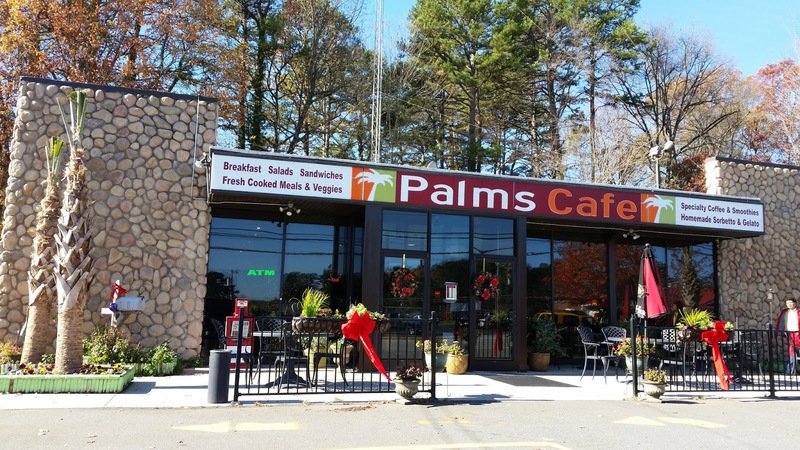 Palms Cafe is one of those comfort restaurants, the kind you go to after a long day and don’t really know what you want. They have a menu with options sure to please everyone. What’s your go-to restaurant for comfort food? I must try and remember not to read your posts on an empty stomach. 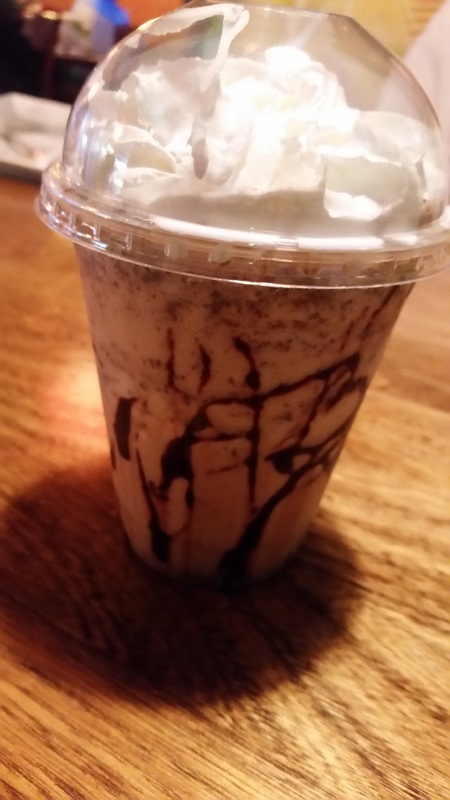 The dishes look and sound delicious, and that Java shake…YUM! Jill, the dishes were good and you won't have an empty stomach when you leave this place.